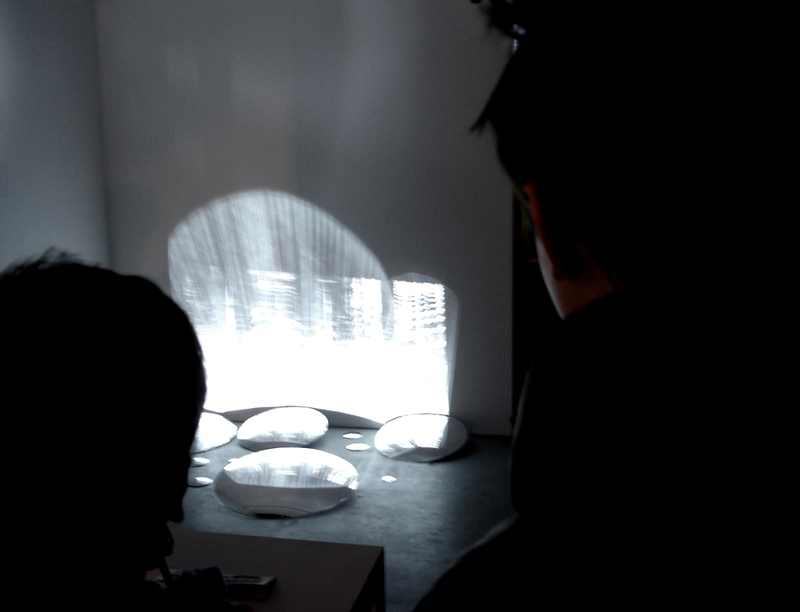 Engaging with acoustic experimentation in response to sound frequency visualisations informs my current art practice. 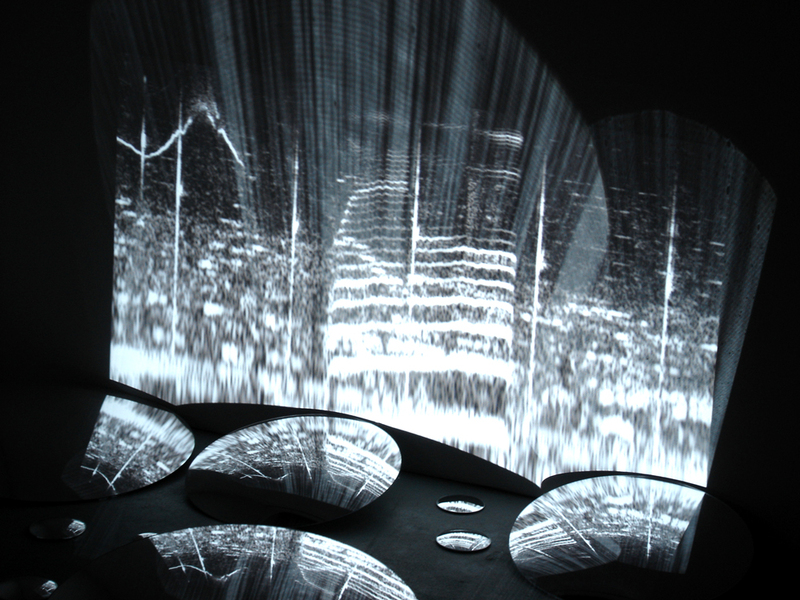 Through the use of sound emission analysers, live sonic processes are made visual and projected as interactive installations. 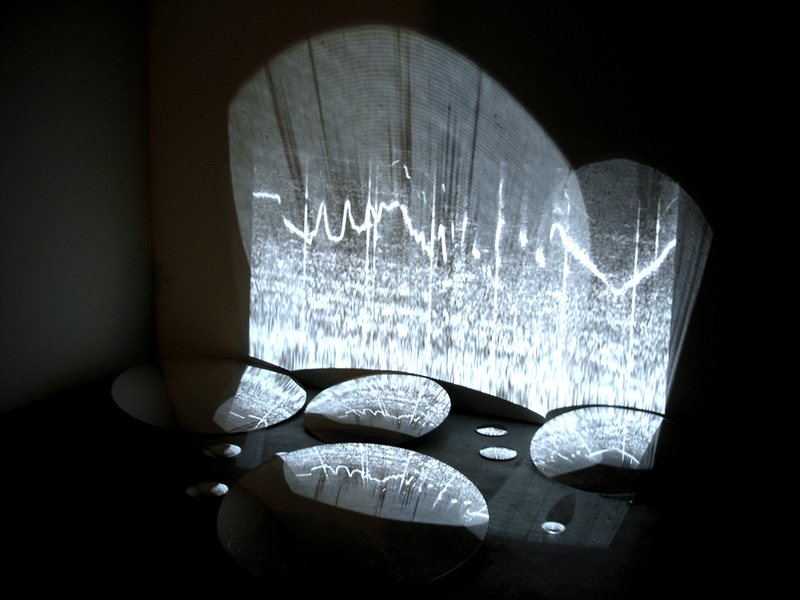 By activating a variety of microphones these sound frequency visualisations respond to voice, which often becomes reciprocal vocal/visual play, and continues into reflexive experimental noise production. 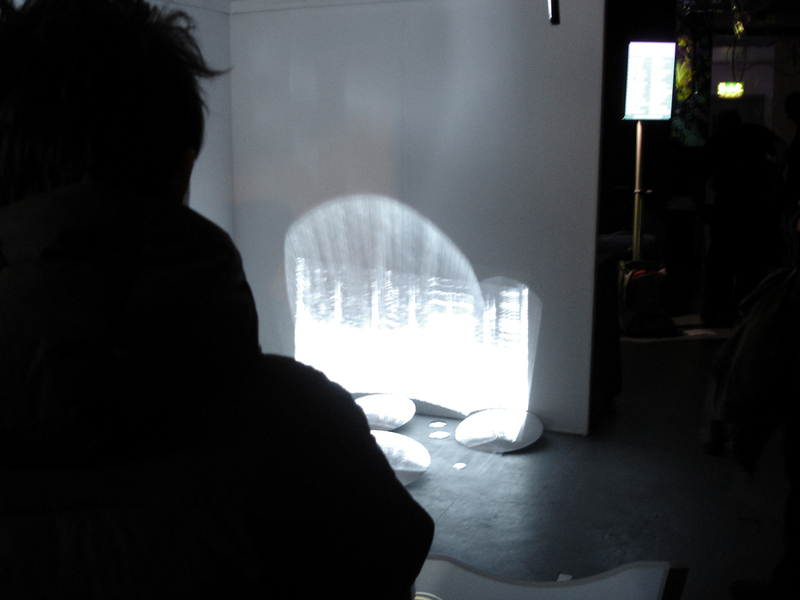 During Kinetica, our PM+NR booth included my interactive installation of sonic frequency visualisations, which were projected across a range of convex mirrors, more usually used for reversing cars. Microphones were placed on the corner of our stand to allow visitors to become participants, through trying out a range of improvised vocal sounds or strumming on a guitar. It was my intention to install double bass strings along one edge of the booth to allow participants to strum these as part of the installation. However lack of time and prior knowledge of our booth structure made this too problematic on this occasion. A version that did include double bass strings was developed for CUBE4x4x4, Mannheim, Germany, in November 2012.